After years of being taunted with hopes of receiving a Retro 11 Concord Low release, it looks like we will finally be able to get our hands on them. 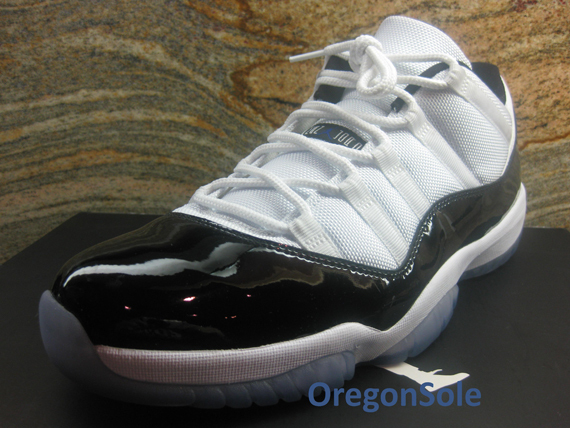 Get ready for the Retro 11 Lows! Champs Restocks Bred 11 In store tomorrow. Another Jordan Retro 11 Bred Restock. Nike will be restocking the Jordan Retro 11 “Bred” in their nike outlet locations 4/27. Independent confirmation at several stores has revealed that nike is planning on stocking the Bred 11’s for only $149 at their Nike Retail stores. This will mark the third restock of the Bred 11 in 2013. They will be limited to one pair per person, in store pickup.